Another chapter in my on-going quest to design all things possible is being written at the R&D technology company, WiserSystems. 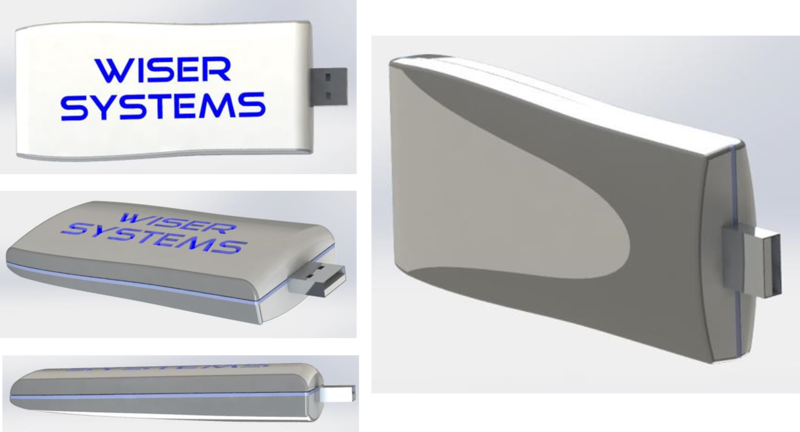 They are developing modules to track real-time product location, and were in need of different levels of product housing design. For the immediate present, speed to market and product proof-of-technology demonstrations are extremely important. For this reason, a fast and simple prototype was necessary. However, any and all chances to impress future production design into the prototype was also a plus to minimize future time investments when designing rev II mass-production housings. With this in mind I started an accelerated prototype schedule to meet all of my requirements. 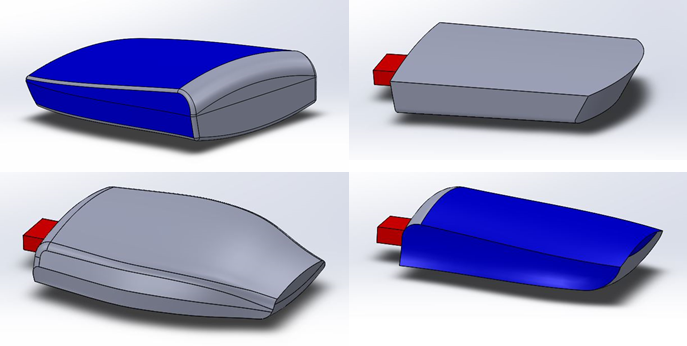 I started sketching up several ideas for product housings. 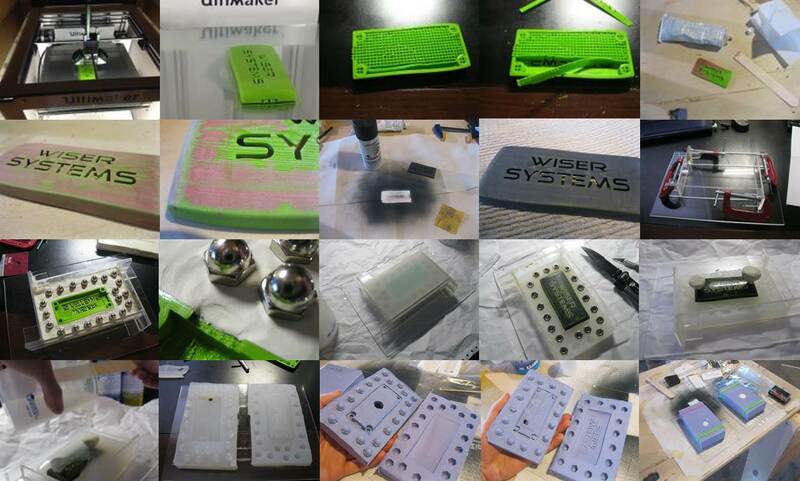 (unfortunately these cannot be shown here to protect future WiserSystem production concepts) I then picked several forms I liked, created some assimilations of them in SolidWorkds CAD, and printed these on my 3D printer. Once I had the physical forms in hand, I met with my client to discuss form attributes, likes and dislikes, and determine a preferred direction for future design. Then, it was back to the design lab to start modeling the first housing rev. Given the nature and use of the early prototypes, it made the most sense to use a low volume silicone tool to cast parts in. These cast parts would ultimately be painted and glued together to form the final product. The process is illustrated below. The final parts have a ‘WiserSystems’ cutout on the top. This is then filled with a clear resin as a post-cure process and a diffuser layer added inside the part. Once the parts are then fit together, the part logo is back-lit by a blue LED.